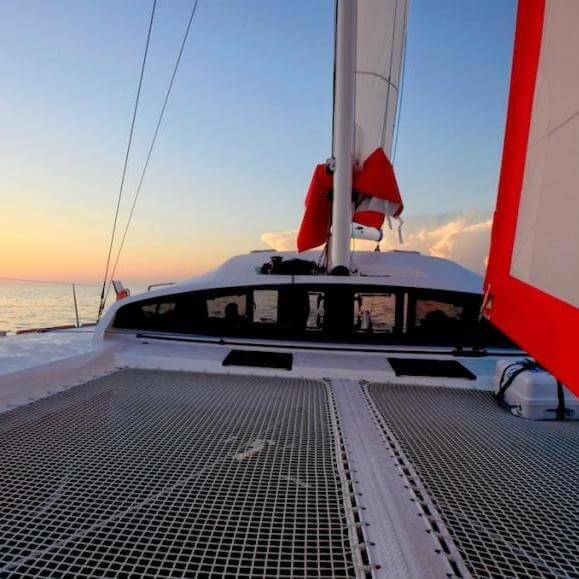 Our newest release, this 7-day fast-track performance catamaran course turns monohull skippers into Catamaran-endorsed skippers. All prices are per person. ONLINE COURSE PREPARATION About 10 hours, course material will be provided after booking your course. 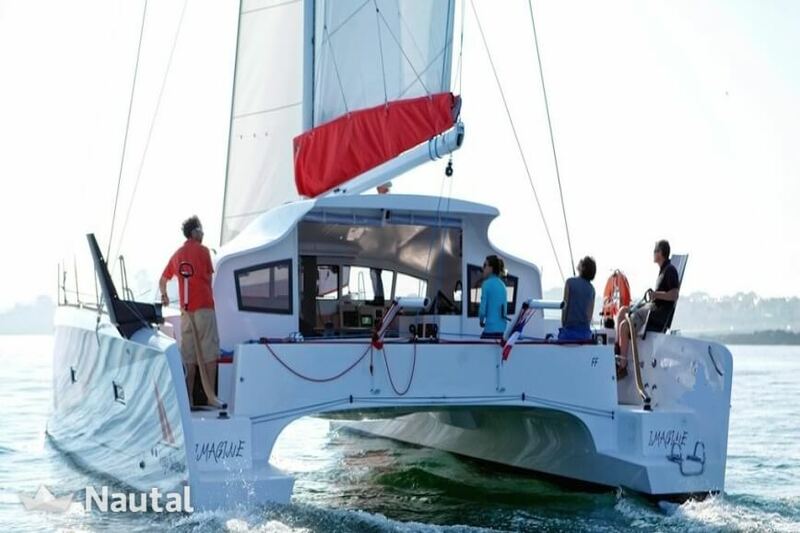 Who is a Performance Catamaran Course for? 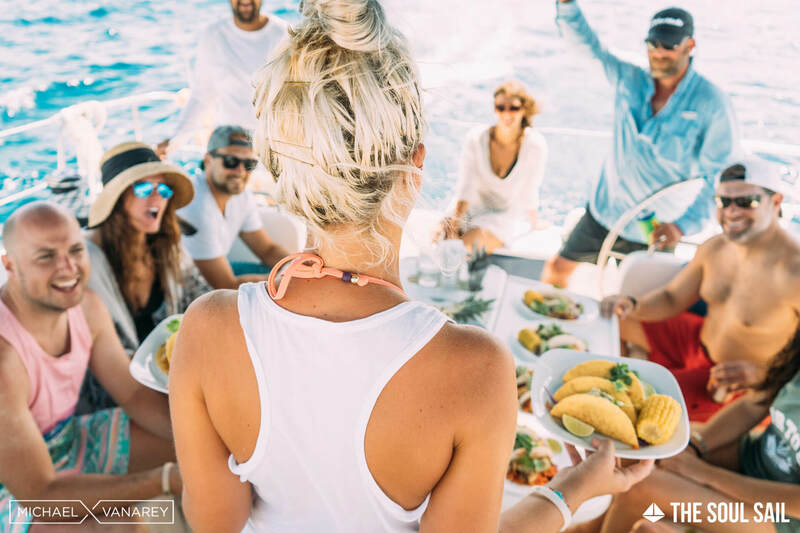 We started our school with the belief that people under 50 want a sailing experience that is more athletic, more exhilarating than your typical cruising course. Our strong growth last year and perfect five star ratings on Tripadvisor, Google and Facebook suggests we’re onto something. Here is a bit more about us. This course follows our guiding principle, that sailing is one of the coolest, most exhilarating, athletic things you can do. 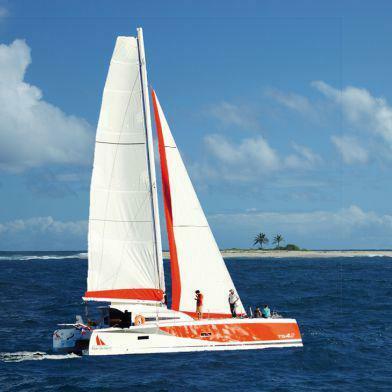 Catamaran courses are often held on tired old cruising boats. We have a TS42. This thing is fast. 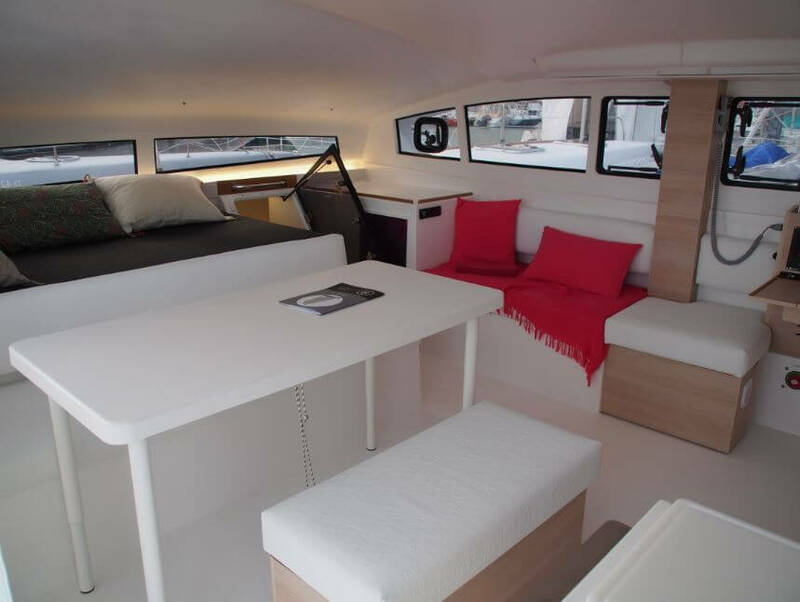 Made by Marsaudon Composites, it’s the boy-racer of catamarans. 15 or more knots is to be expected on a week with typical Caribbean trade winds. How many people can go on a course? On this boat we can take six students. We have one to two instructors throughout the week, making sure everyone gets both boat and instructor time. Your instructor makes or breaks a sailing course. Ours are the best in the market. If you are older, wanting someone to take things a bit slow, and keep the music down, our instructors would not be right for you. We can recommend some schools if that’s the case. 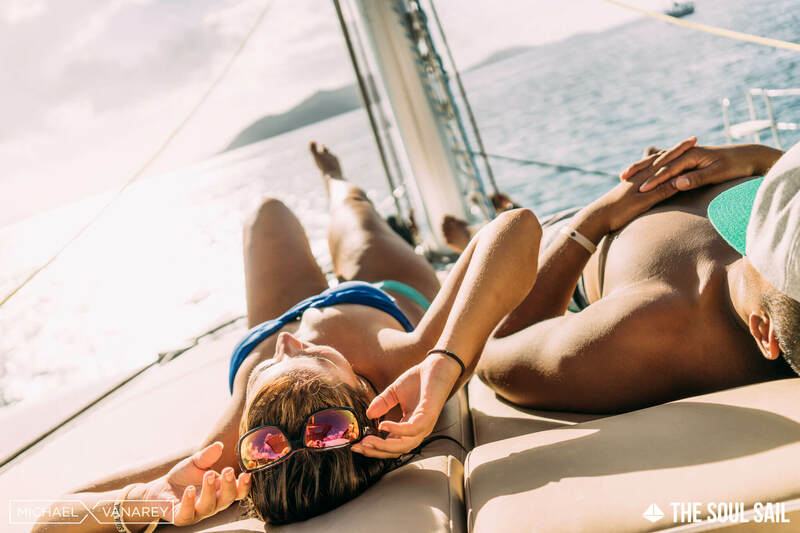 To be a Sailing Virgins instructor you need to have at least two seasons as a lead skipper for The Yacht Week in the Med and Caribbean, plus have at least a couple of ocean crossings under the belt. 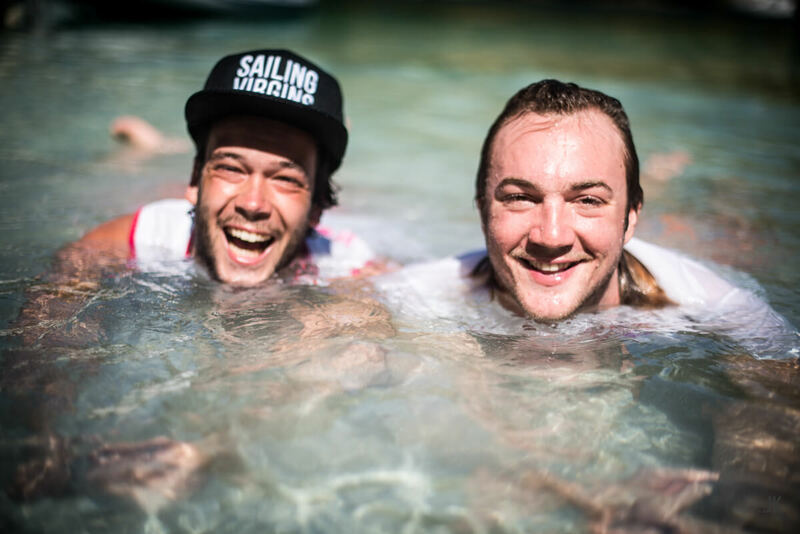 These guys can sail like nobody’s business. And they can get on with anyone. We like them both. The main thing is to get out with your besties on the water. The spoiler here is that it’s not about the boat so much as the crew. Nevertheless they have their pros and cons. And given we’re on a catamaran page, we can safely say that cats are faster, have more living space and are more stable than monohulls in most conditions. We cover this in more detail here. I still need convincing. Why Sailing Virgins? To see if we are a fit for each other, check this page. On the last day we sail back to Le Marin, tacking up the main channel. Once back ashore we will finish the course at the Kokoarum Restaurant. There will be a debrief with your instructor. 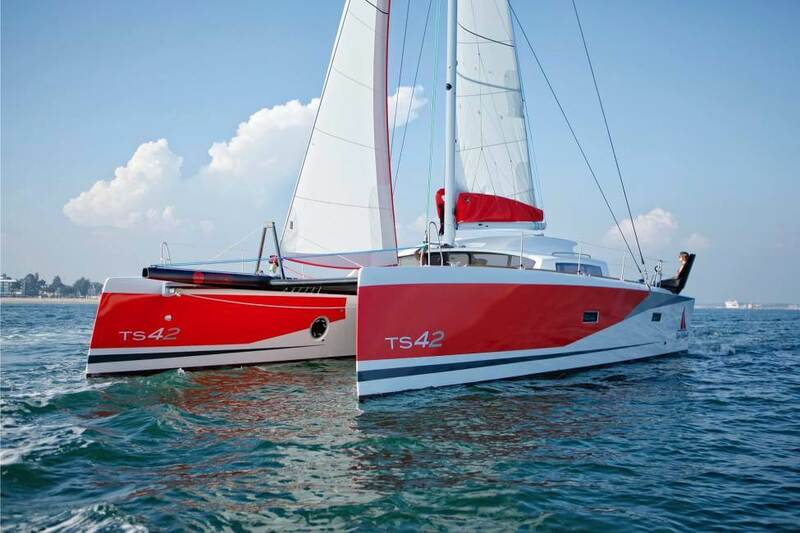 Your catamaran is most likely a TS42. Occasionally it will be the larger TS50, but for the majority of the time it is the 42. These are performance cats – faster than any cruising cat on the charter market. The TS series will happily sit on 12-15 knots in a decent breeze. 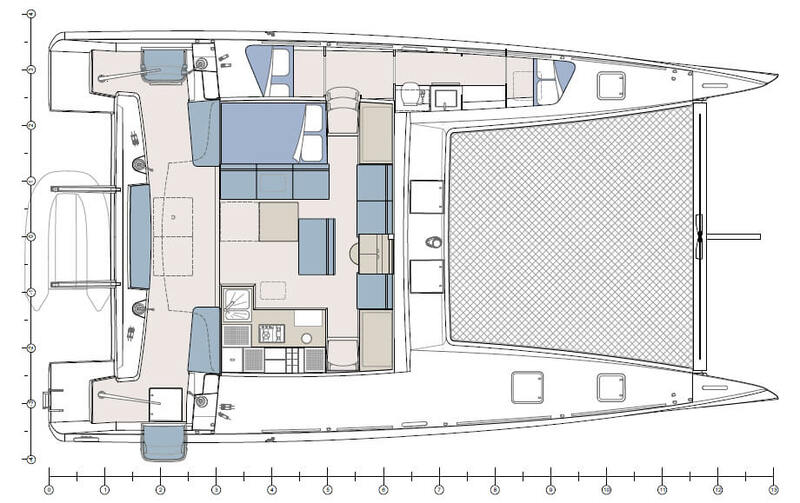 Made by Marsaudon composites, the TS42 comes in at a weight of just 5.8 tonnes. When you compare this to the high performance Outremer 45 at 8.7t, you can see how this bad boy is able to take off like it does. The designer of the TS42, Cristophe Barreau, is in fact the same designer as many Outremers and Catanas.